Cut ends off onions, leaving stem and core intact. 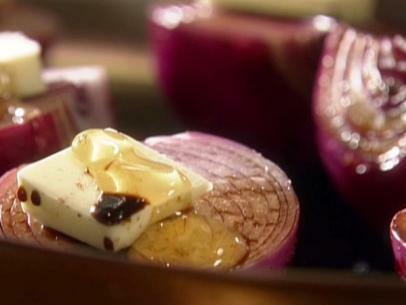 Quarter onions through core and peel away skin. 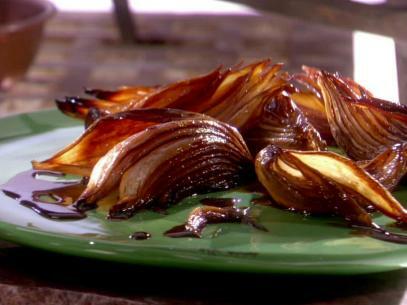 Place onions in a large resealable bag with balsamic dressing, tarragon, and garlic. Squeeze out air and seal bag. Marinate in refrigerator for 1 to 4 hours, turning occasionally. 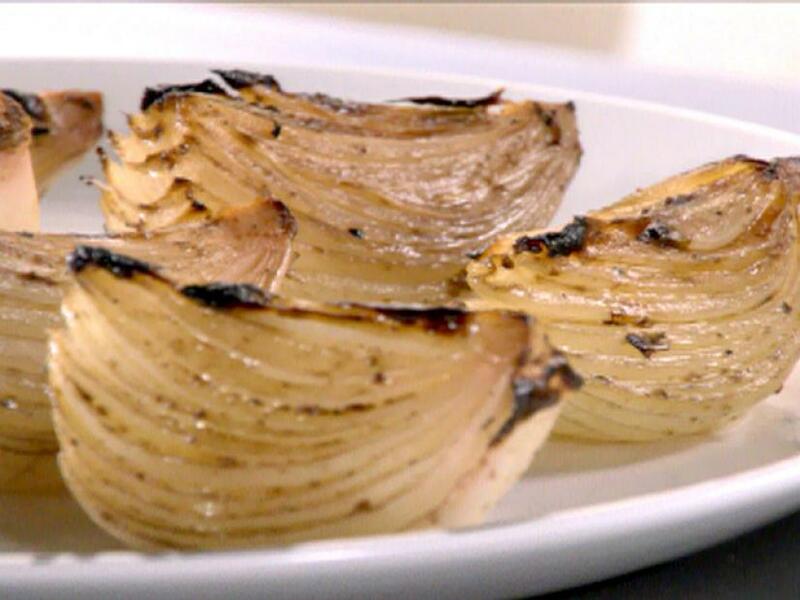 Remove onions from refrigerator 30 minutes before roasting and bring to room temperature. 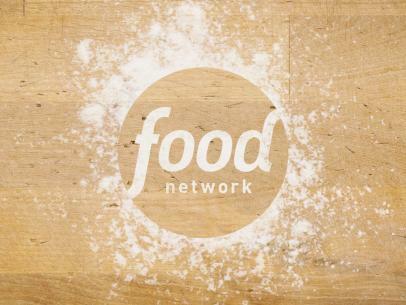 Preheat oven to 400 degrees F. Lightly spray a baking pan with olive oil cooking spray. 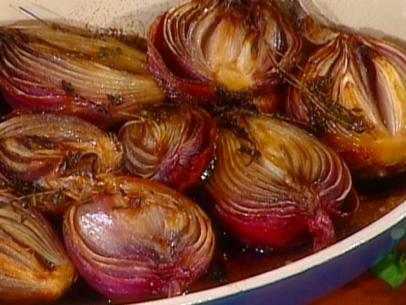 Place onions cut side up in prepared baking pan and pour marinade over top. Season with freshly ground black pepper.